So, it's Monday morning and a lot of your are going back to work... not me. I've taken your frown and turned it upside down. Of course I do go back to work tomorrow, but only for a day. Last night was our holiday / Christmas party. In spite of not being a 'party' person, I went - free food, you know? While I like a number of the people I work with, and enjoy their company when on the clock, I don't see any real need to socialize with them, if you know what I mean. Parties do not meld associates together, rather they tend to emphasize their cliquish nature. Those whom I wouldn't mind associating with tend to stay home, but, as I said there is free food. It's a benefit, so take advantage. I stayed for about 2 hours and then came home. I saw where Eric Holder had told people to protest if the Idiot Jerk in the White House fires Mueller. I think that will happen spontaneously. A vast majority of America will rise up and kick the Idiot Jerk in the face. Now, wouldn't that be enjoyable? Doesn't it make you wonder if there isn't a secret wish among the majority for the Idiot Jerk to actually do this? Think of the satisfaction we'd get. There was this little article in Bloomberg which illustrates how the great Republican Tax Overhaul is going to benefit the Idiot Jerk in the White House. Republicans don't understand how bad this is... because, how could they possibly do something so wrong? Any way, I'm going to pick my new bike up today. American Express is to smile on me for the next 3 months. That's okay. When they called to tell me I could pick it up, and I told them I'd most likely bring it home and put it on a trainer, they seemed surprised. 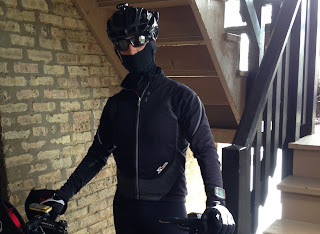 I'm a late spring, summer, and early fall cyclist. I am not one of those guys who puts on thick, insulated spandex just so I can ride in the cold. "A vast majority of America will rise up and kick the Idiot Jerk in the face." - I WOULD LOVE TO DO THIS! HARD! UNTIL IT BLEEDS! Only the Good will kick a bad man when he's down!